ACOUSTIC EXPO 2013: As one of the six original American guitar brands, Guild guitars remain among the most sought after instruments for discerning musicians who are out there in the real world with their sleeves rolled up, ready to play. 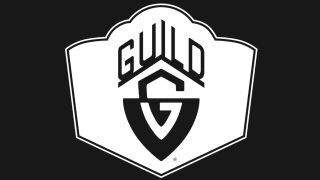 Guild continues to champion its timeless history and heritage of old-world craftsmanship, modern design innovation and solid value. There's really nothing quite like the strong, lush and crystal clear sound of a fine and finely built Guild acoustic guitar. Now they're better than ever, and we can't wait for you to hear them. Guild - made to be played since 1953. The M-120 proves that small-body guitars needn't sound small at all. Its solid mahogany top, back and sides produce warm, balanced sound with excellent projection and distinctive presence. Click here to read more about the Guild M-120. The AD-3 dreadnought features Guild's signature arched-back body design and covers a lot of sonic ground. The solid Sitka spruce top, laminated mahogany sides and arched back give it a full, balanced sound with excellent volume and projection. Click here to read more about the Guild Arcos AD-3. The D-125 dreadnought's all-mahogany construction produces a unique and well-balanced sound, with clear, tight bass and a warm, airy top end-great for a broad range of musical styles. Click here to read more about the Guild D-125. For more information, visit the official Guild guitars website or connect with them on Twitter, Facebook and YouTube.